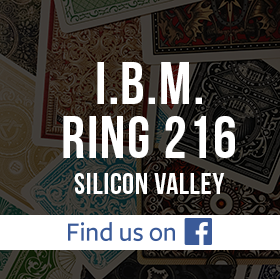 Join us on Wednesday, December 13, 2017, for the IBM Ring 216 Annual Stage & Parlor Magic Competition. We hope you all can show up to enjoy some fun magic and support your fellow Ring members who have signed up to compete. We already have a few signups, so if you want to compete, please send an email to David Martinez (president@ring216.org). Magicians in attendance will serve as the judges for the competition. Family and friends (non-magicians) will be the judges for the People's Choice Award, assuming we have at least 10 non-magicians present. All competitors will compete in a single division.